I’d like to thank the returning officer and all of the staff here and in polling stations across the constituency who have worked tirelessly during a very long day and night. Thank you also to the police for their presence here this evening. I’d like to thank the team who have worked hard for months to ensure this result tonight. Most of all, perhaps, I owe a debt of thanks to my family for all their support, now and into the future. I’d like to thank my fellow candidates for what has been a very civilised and policy-focused campaign. I have thoroughly enjoyed debating with them and wish you all the best for the future. 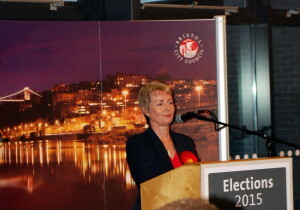 Dawn Primarolo has served Bristol South for 28 years, during which time her dedication and commitment to her constituents was evident for all to see. It is an honour and privilege to have been entrusted by the people of Bristol South to be her successor in Parliament. 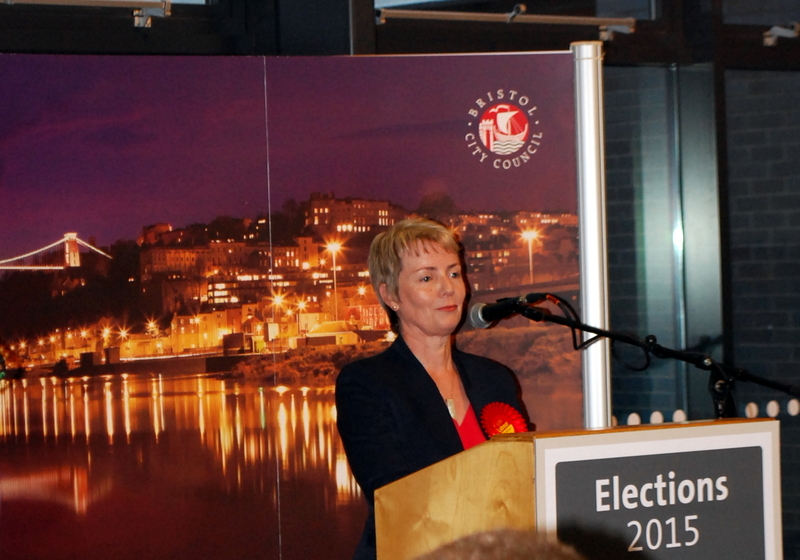 Bristol South is one of the most economically deprived constituencies in the country. There are many thousands of residents living locally who absolutely cannot afford another five years of the Tories’ austerity policies, which have hurt the lowest paid and the most vulnerable in our society, whilst giving a tax cut to millionaires. I would like to make a solemn promise to the people of this constituency – whether they voted Labour, voted for another party, or if they didn’t vote at all – that I will work my very hardest in Westminster and across Bristol South to ensure they continue to have a dedicated vocal champion for many years to come.